itch.io Community » General » General Discussion · Replied to leafo in Crowdfunding. You already did? Help? We show the game on several other platforms, we use thunderclap, we talk to many people but it's difficult for people to support. And the harder it is to do all this without financial recourse, maybe that's it. We could not expand the project because of lack of funds. itch.io Community » General » General Discussion · Created a new topic Crowdfunding. You already did? Help? Have any of you ever had a crowdfunding? Indiegogo .. Kickstarter? Take a look at our project in our Indiegogo campaign, tell me what you think please? Criticize at will, if you have any questions or can give some advice, we are grateful. itch.io Community » Game Development » Release Announcements · Posted in The Crown Stones a crossbreed between Dark Souls and Castlevania. Thank you guys^^ We'll make a great game. itch.io Community » Game Development » Release Announcements · Created a new topic The Crown Stones a crossbreed between Dark Souls and Castlevania. 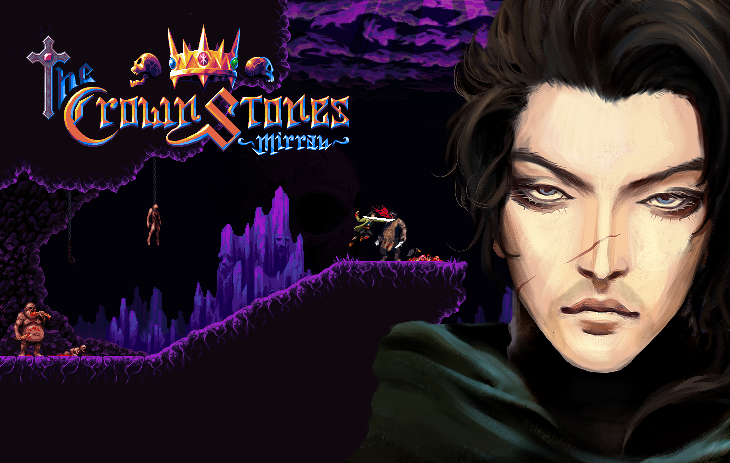 The Crown Stones: Mirrah is a pixelated Adventure/Horror RPG game. It’s a Metroidvania-styled old-school game, and its main highlights are its acute difficulty and dense atmosphere. The game is set in the lowest parts of the extra-physical world: Umbral, Hell, Purgatory, and Naraka; all of these names are equivalent for all places where suffering, pain, and despair are constant and never-ending. In these valleys, where spirits wander with no destination, is the location where “The Crown Stones: Mirrah” begins. The protagonist of this journey, Rivail Kuth, enters this world and needs to carry out a mission. However, due to his troubled trip to these dimensions, Rivail completely loses his memory, and forgets how he arrived, how to leave, or whom to trust. I want to ask you to look at our campaign and if possible contribute! Thanks and play our game!